The siege of Mainz, by Georg Melchior Kraus. The siege of Mainz was a short episode at the beginning of the First Coalition, for the victorious French army of Custine who seized the town October 21, 1792, after three days of siege. 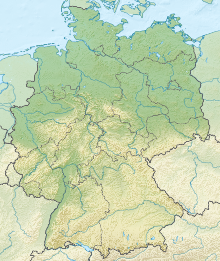 The French occupied Mainz, and tried to install the Republic of Mainz there. After the declaration of war by France against the Archduchy of Austria (1792) and the declaration of Mainz on 21 July 1792, Custine was given command of the Army of the Rhine to replace Nicolas Luckner, and in September occupied southern Rhineland about the cities of Speyer and Worms. The regiments of the Duke of Nassau left the Fortress of Mainz on October 5. The French Revolution of 1789 found that the Prince Archbishop of Mainz, Friedrich Karl Joseph von Erthal, a committed opponent who welcomed with open arms all French nobles fleeing the civil unrest. This made Mainz into an epicenter of the counter-revolution in Europe. After the declaration of war by France to the Austrian Archduke Francis II April 20, 1792, counter-revolutionaries in Mainz gathered in July promising to defeat the French revolutionaries, in case they would undermine the royal family, and their "infliction of exemplary punishment." But the failure of the escape of Louis XVI to Varenne lead to the arrest and indictment of the king of France. Thus, on Aug. 4, 1792, the Archbishop of Mainz joined the Austro-Prussian coalition. However, not only did the attempted invasion of France by the armies of the coalition fail on September 20 at the Battle of Valmy, but the Revolutionary Army proceeded on the offensive and crossed the Rhine, with the aim to take Mainz. The French troops, now called "Army of the Vosges" by decision of the Convention, began the encirclement and siege of the city on October 18. On the night of October 18, the vanguard of General Jean Nicolas Houchard reached Weisenau. The rumor about the 13,000 besiegers spread. The war council chaired by Count Gymnich was terrified. Gymnich convened a civilian and military council to which was called the Baron of Stein, the Prussian Minister, Baron Fechenbach, canon of the cathedral chapter, Baron von Franz Joseph Albini, chancellor of the court, and M. de Kalckhoff, private adviser to the Prince Archbishop. These three dignitaries of the ecclesiastical court argued that it was necessary to defend Mainz, but the governor, the Prussian Minister and members of the Electoral body opened a contrary opinion, and in a final conference where the leaders of the military body were summoned, the council decided to surrender. The board decided to capitulate without a fight on Oct. 20. On the 21st the French entered the residential city of the Electoral, despite its elaborate fortifications that were supposed to protect the city.